“Bachat Gat Yojana” is a Project initiated by Brihanmumbai Municipal Corporation (BMC) for Basti women. In this project, the under the scheme of “Bachat Gat” a group of five to six ladies from a particular basti come together to learn a skill so as to make an earning through it. As part of many activities to make the city self-reliant and progressive the BMC through this project help women to learn and earn their livelihood. 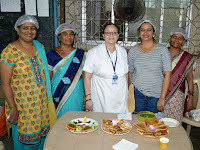 Helping the BMC in this philanthropic and benevolent venture, Bosco Boys Home, (BBH) Borivali collaborated with BMC in its “Bachat Gat Yojana” Project to train the Basti women of the nearby bastis of Borivali: MHB Colony, LIC Colony, IC Colony, Gorai, Charkop, Chikuwadi, Babhai Naka. The project comprised of demonstration of the dishes and asking the group to prepare and bring the dishes demonstrated the next day they come to class. The women were asked to maintain Journals and attendance register was maintained. The women were evaluated through practical exam held at the end of the course. The women were also taught to do proper costing of the food items and how to fix up the prices of the food before selling it. It was not all learn and no fun. 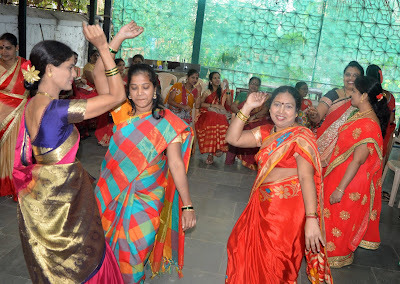 During the courses, the women made many friends and also celebrated festivals like Makar Sankranti, even a special Haldi- Kumkum programme was also arranged by the women in which the instructors also took part whole heartedly. Farewell Part was also organised. “The “Bachat Gat Yojana” is actually introduced by the BMC for women with a great intention to make them self- reliant, self- sufficient and to empower them to support their families. We at BBH, tried our best to train these women in such a way that they may start earning for themselves. We intend to train at least 50 and more basti women each year.” Dn. Romero D’Souza, the Principal of the Institute expressed.